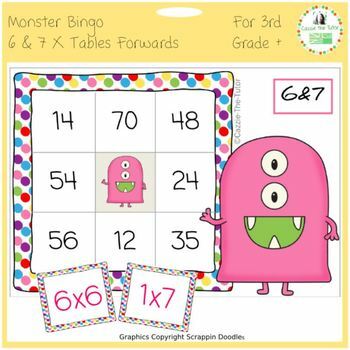 This times tables bingo game is a fun way to combine practice of both the 6 and the 7 times tables - working forwards from the questions on the caller cards to the answers on the bingo cards. 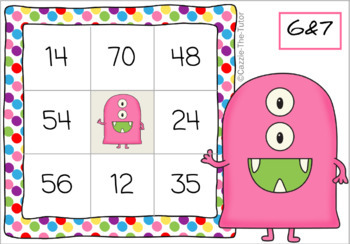 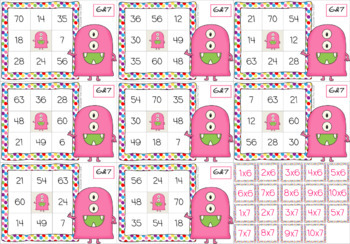 •	26 randomised bingo cards for the 6&7 times tables (with the times table answers). 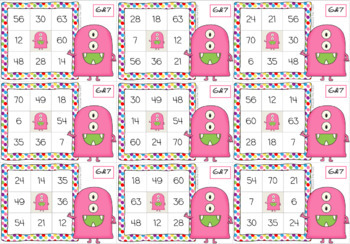 •	19 caller cards (with each of the times tables questions).